Cardiomyopathy is considered to be a genetic disorder and is manifested by rigidity and enlargement of cardiac muscles due to which heart is unable to pump efficiently disturbing normal cardiac rhythm that may lead to heart failure and/or other myocardial diseases. It has been estimated that more than 23 million peoples are suffering cardiac ailments worldwide. Replacement of cardiomyocytes and restoration of blood flow is necessary for reversal of cardiomyopathy, particularly if it is being passing on to generations as hereditary disease. Heart has a defined capacity for regeneration; however, cardiac stem cells (CSCs) have been recognized for their ability to repair and/or regenerate cardiomyocytes. CSCs are known to permit regeneration of cardiac muscle and having ability to differentiate, rapidly proliferate, and undergo self-renewal. The use of CSCs has caught more attraction due to their ability to replicate and recruit other stem cells for the regeneration of cardiac tissue. Unlimited sources of stem cells have been identified for cardiac repairment. 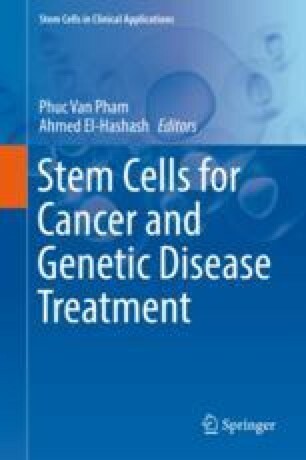 Somatic stem cells (SSCs) obtained from bone marrow are considered as a major source for cardiac regeneration and improvement of diseases like cardiomyopathy. Similarly, embryonic stem cells (ESCs) have shown great potential to differentiate and proliferate, signifying their probable role in cardiomyocyte regeneration. Moreover, mesenchymal stem cells (MSCs) have also been extensively studied for their ability to regenerate cardiomyocytes and myocardium. Hence, in this chapter we will discuss the major sources, types of stem cells along with their abilities to differentiate, proliferate, and contribute in the regeneration of cardiomyocytes particularly in genetic diseases like cardiomyopathy.